Filipino movies about best friends-turned-lovers include Labs Kita, Okay Ka Lang (left frame) and Paano Na Kaya (right frame). Before the word "friendzone" even became popular among millennials, friendzone-themed movies have already been around since the late '90s. These are movies that left a mark on viewers for hugot lines, especially when the lead character confesses his/her love for his/her best friend. ABS-CBN Film Restoration recently released a trailer of the restored version of Jolina Magdangal and Marvin Agustin's smash movie hit from the '90s titled Labs Kita, Okey Ka Lang? The trailer was immediately shared by fans and became a trending topic on social media. Of course, who could forget how Bujoy (Jolina) suddenly confessed her feelings for her best friend, Ned? It has now become one of the most famous lines from a Filipino movie. Here are five moments from best friend movies that will tug at the heartstrings if you've ever been "friendzoned." 1. Bujoy confronts Ned in Labs Kita, Okey Ka Lang? 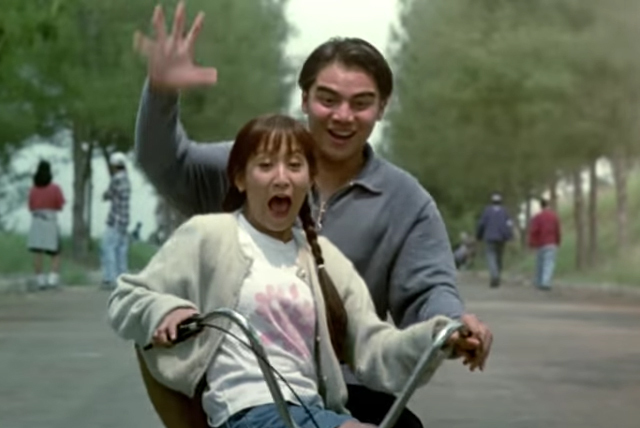 In this 1998 film, Bujoy (Jolina Magdangal) and Ned (Marvin Agustin) are best friends who have always been with each other through thick and thin. Ned has always seen Bujoy as one of the boys. In reality, Bujoy is secretly in love with her best friend. 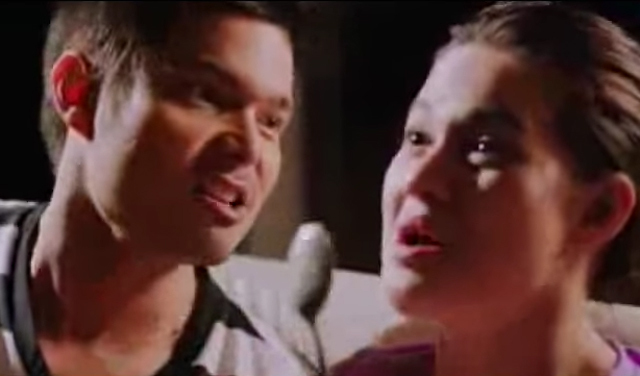 In one scene, Bujoy was shocked and hurt to find out that Ned is already in a relationship with a girl named Mary Anne (Vanessa del Bianco). During their confrontation, Bujoy confessed her love for her best friend. She told Ned, "Oh yes, kaibigan mo ako, kaibigan mo lang ako. And that's all I ever was to you, Ned. Your best friend. "Takbuhan mo ako pag may problema ka, tagasundo, tagabigay ng advice, taga-enroll, taga-gawa ng assignment! Tagapagpatawa sa 'yo kapag malungkot ka, tagatanggap ng kahit na ano. "And I'm so stupid to make the biggest mistake of falling in love with my best friend, dahil kahit kailan, hindi mo naman ako makikita, e. Kahit kailan hindi mo ako kayang mahalin na higit pa sa isang kaibigan." Labs Kita, Okey Ka Lang is just one of the digitally restored and remastered movies by ABS-CBN’s Film Restoration Project. Cinema Classics is ongoing from Wednesday (January 11) to Sunday (January 15) at the UP Town Center. Tickets cost P220, with a discounted rate of P180 for students. For the full schedule, visit www.facebook.com/filmrestorationabscbn on Facebook. This 2010 movie starring Kim Chiu and Gerald Anderson talked about best friends Mae (Kim) and Bogs (Gerald) who became a part of each other's lives—whether in success or in failure. While Mae is secretly in love with Bogs, the guy is very much in love with his girlfriend Anna (Melissa Ricks). Unfortunately, on the night where Bogs was supposed to propose to Anna, she broke up with him. Later on, Mae confessed her feelings for Bogs, and the guy decided to pursue her, even though it seemed that she was only a rebound. Mae proved she was a rebound when she saw Bogs and Anna kissing each other on the lips. Mae was furious even though Bogs explained that it was Anna who kissed him. "Never naging simpleng, 'Mahal kita, Mae.' Yun lang naman ang gustong marinig ng kahit na sino, di ba? Bakit hindi mo magawa sa akin yun? "Bogs, walang namilit sa 'yo, walang nagmakaawa sa 'yo. Sinabi ko lang naman ang nararamdaman ko sa 'yo dahil hindi ko na kayang itago yun. "Bogs, sana lumayo ka na lang, sana umiwas ka na lang, maiintindihan ko pa yun. Pero Bogs, syinota mo ako, e. Syinota mo ang best friend mo." In this Angelu de Leon-Bobby Andrews movies, the rich Eric (Bobby) uses his boyish best friend Gemma (Angelu) to act as a bridge for the girls he likes. He doesn't know that Gemma is really secretly in love with him. Their plans have always been a success, especially when Eric fell in love with Gemma's cousin Vivian (Mariel Lopez). When Vivian left the Philippines for an art exhibit, Gemma reinvented herself by transforming into a real lady. Eric then realized that it is really Gemma that he loves. 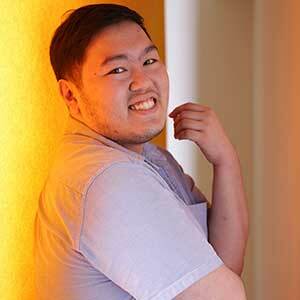 One night, Eric got drunk and told Gemma: "Ako lasing? Hindi ako lasing. Konti lang nainom ko kasi meron akong maliit na problema. Ikaw." Clueless, Gemma asked why she became Eric's problem. Eric then confessed, "I love you, Gem." Stunned, Gemma realized that Eric may just be drunk. "Lasing ka lang, e. Gusto mo ipagtimpla kita ng kape?" But Eric was persistent. "Totoo ang sinasabi ko. I don’t know what happened, it just happened. I tried to control it but I couldn't. I love you, Gem." Kat (Bea Alonzo) and Joaqui (Dingdong Dantes) have been best friends for ten years. In that span of time, they were also secretly in love with each other but they chose to dwell on their differences rather than their feelings. When Kat is finally ready to move on with her boyfriend David (Enrique Gil), Joaqui realized that he cannot let Kat go. Unfortunately, Kat wanted something else. She told her best friend, "Talaga? Sa dami ng babaeng pinarada mo sa harapan ko, sa dami ng beses na itinaggi mong hinalikan mo ako, sa haba ng panahon na ginawa ko ang lahat para sa 'yo, huwag mo lang maramdaman na walang nagmamahal sa 'yo." "Joaqui, sampung taon yun. Sinarado ko yung puso ko para sa lahat, hindi ako nagmahal ng iba kasi umasa ako na baka darating yung isang araw na mamahalin mo rin ako kahit sinasabi ng lahat ng tao na wala akong mapapala. Nagpakatanga ako kasi mahal kita." Starring Bea Alonzo and John Lloyd Cruz, Close To You tackled the life of best friends Marian (Bea) and Manuel (John Lloyd). Manuel has been in love with Marian for a long time but he chose to hide it since Marian is fascinated with her dream guy, Lance (Sam Milby), who was also her childhood friend. Manuel covers up his feelings for Marian by insulting her and calling her fat and desperate. Manuel's aunt (Nova Villa) revealed to Marian that he is in love with his best friend, prompting Marian to confront him. 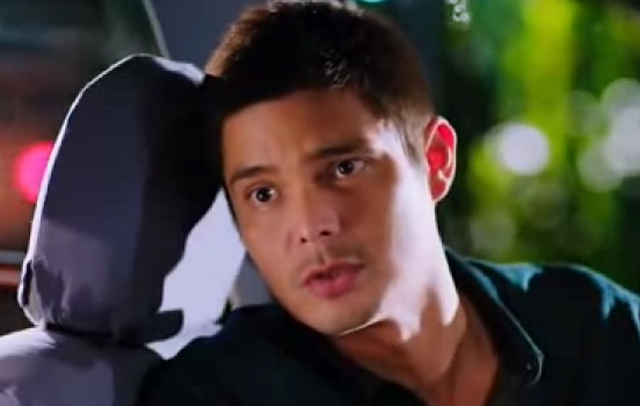 Manuel stopped the car that he was driving while Marian continued, "Siguro, hindi ko alam. Ewan ko. Naguguluhan ako, e. Feeling ko kasi, feeling ko, mahal kita, higit pa sa isang kaibigan." However, Manuel chose Marian's welfare over his own feelings. "Gustong-gusto kitang yakapin, gustong-gusto kitang halikan. Gusto ko, maging tayo. Maging akin ka. "Pero dahil matalik mo akong kaibigan, gusto kong mag-isip kang mabuti, kung 'yan na nga yon. "Dahil baka naguguluhan ka lang, natatakot ka dahil bago pa lang kayo ni Lance. At kahit na alam ko na dahil binibigyan kita ng panahong mag-isip, posibleng marealize mo na hindi pala ako ang pipiliin mo." PEPsters, what are your favorite movies about best friends? Enjoys life by binge-watching pinoy teleseryes.